Check all parts to the parts list above before beginning installation. If any parts are missing contact Fabtech at 909-597-7800 and a replacement part will be sent to you immediately. 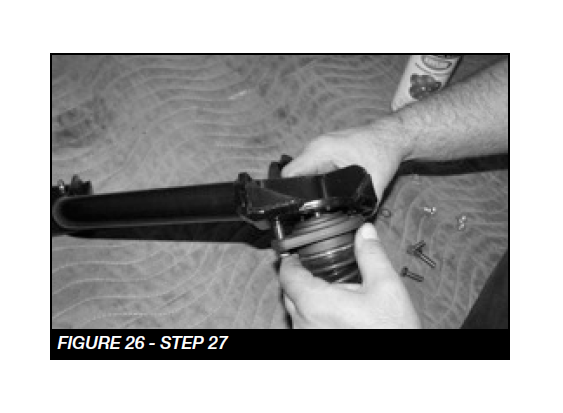 Read all instructions thoroughly from start to finish before beginning the installation. 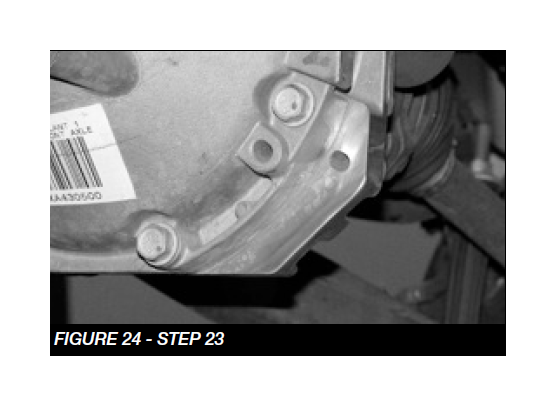 If these instructions are not properly followed severe frame, driveline and / or suspension damage may occur. Check your local city and state laws prior to the installation of this system for legality. Do not install if not legal in your area. 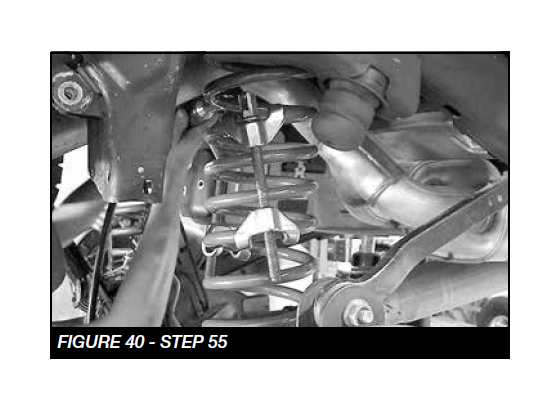 Prior to the installation of this suspension system perform a front end alignment and record. 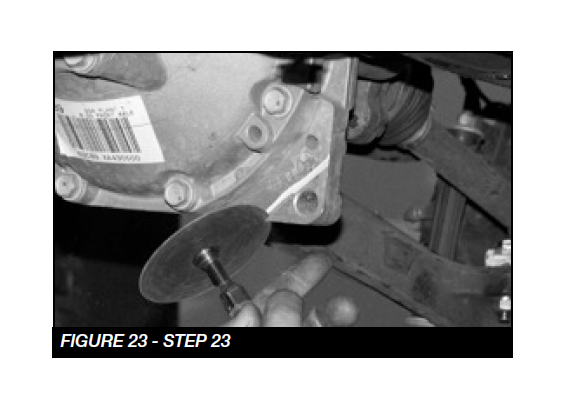 Do not install this system if the vehicle alignment is not within factory specifications. 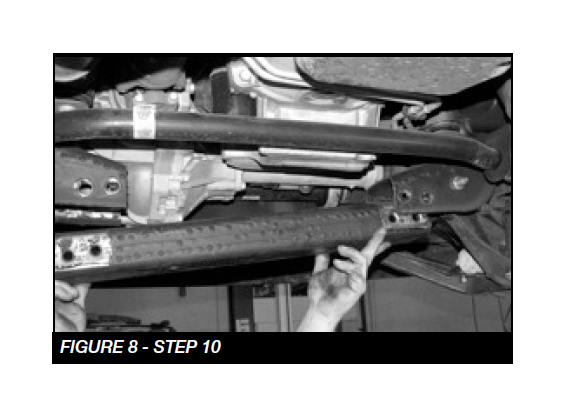 Check for frame and suspension damage prior to installation. 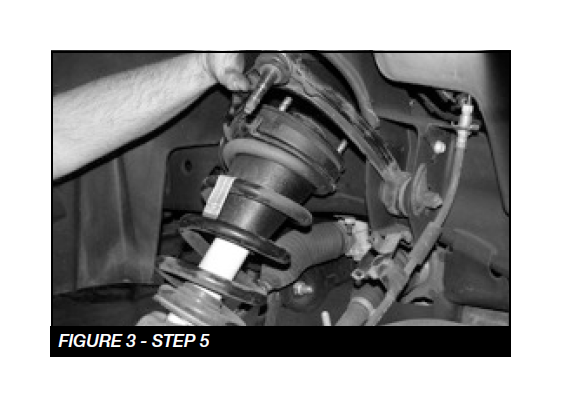 The installation of this suspension system should be performed by two professional mechanics. Use the provided thread locking compound on all hardware. Do not combine this suspension system with any other lift device or parts. This suspension must be installed with Fabtech shock absorbers. WARNING- Installation of this system will alter the center of gravity of the vehicle and may increase roll over as compared to stock. OEM Wheels and tires cannot be used after the installation of this kit. Larger tire cannot be installed on the OEM wheels. 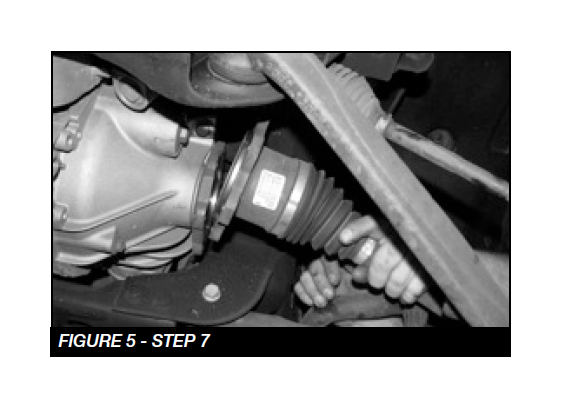 Vehicles that receive oversized tires should check ball joints, tie rods ends, pitman arm and idler arm every 2500-5000 miles for wear and replace as needed. 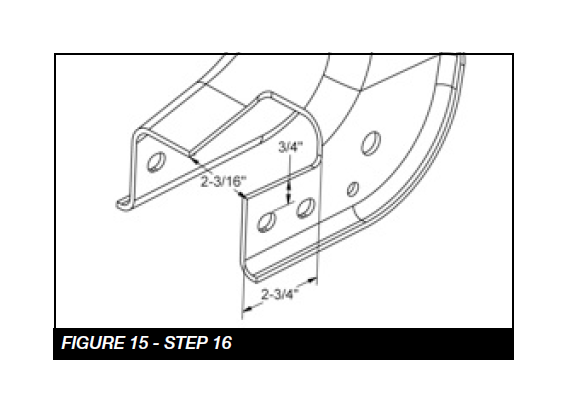 Requires cutting of fenderwell sheetmetal for use with 33” tires. Suspension system will not work on vehicles equipped with factory auto ride suspension. 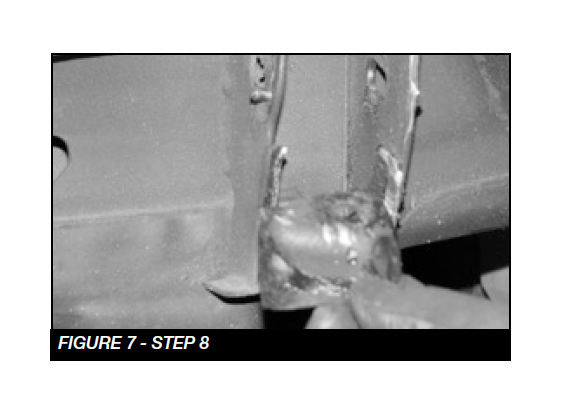 Verify differential fluid is at manufactures recommended level prior to kit installation. 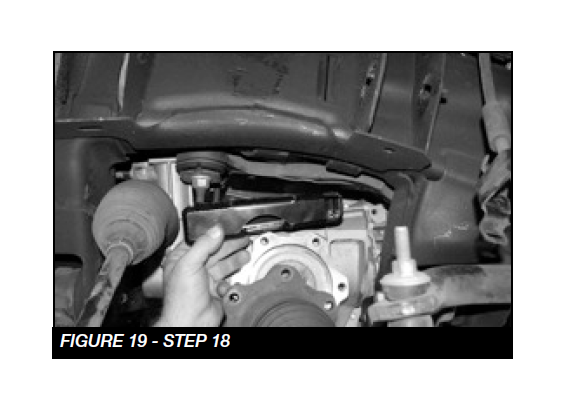 Installation of the kit will reposition the differential and the fill plug hole may be in a different position. (For example, if the manufacture recommends 3 quarts of fluid, make sure the diff has 3 quarts of fluid). 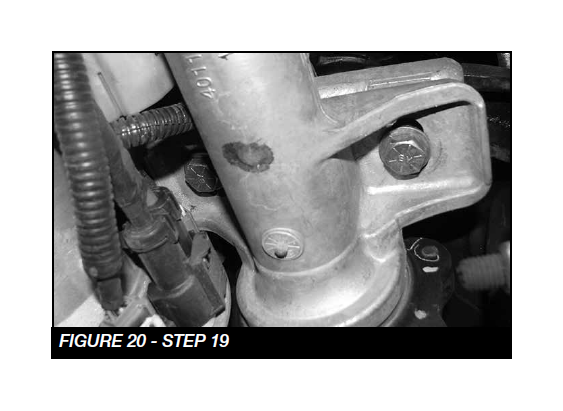 Check your specific manual for correct amount of fluid. solenoid with factory hardware. Torque to 17 ft-lbs. 23. 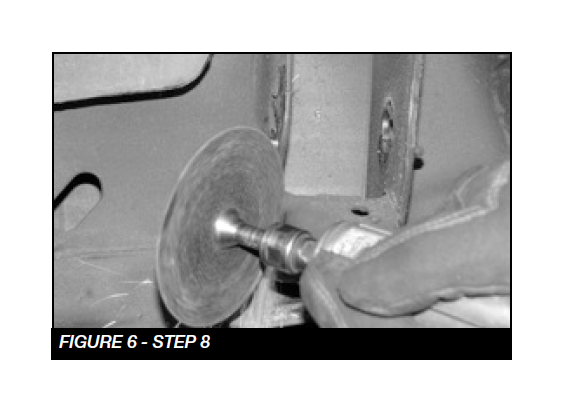 Trim the front of the differential to clear the new skid plate. 25. 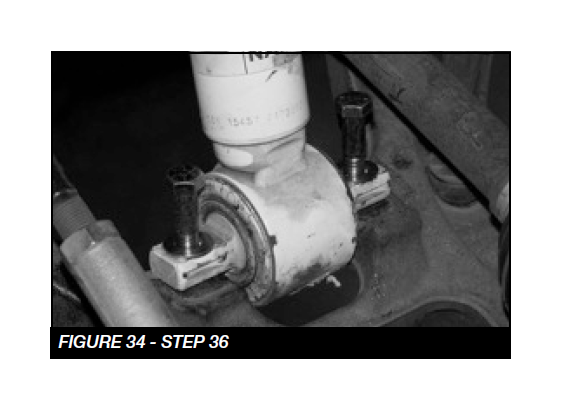 Locate the FT20558BK driver upper control arm and one FT20619 ball joint, two FTS1001bushings, two FT1002 bushings, two grease zerks FT84, and two FT1500-6-101 sleeves. 26. Install one FTS1001 bushing, one FT1002 bushing and a FT1500-6-101 sleeve zerk in each barrel. Use the FTLUBE urethane lube on each bushing. 28. 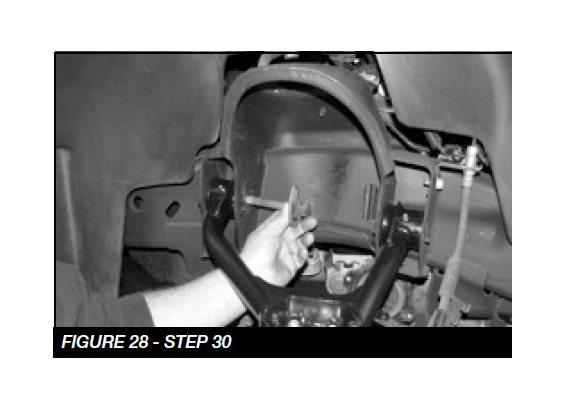 Repeat steps 23-25 using FT20559BK for passenger side. 31. 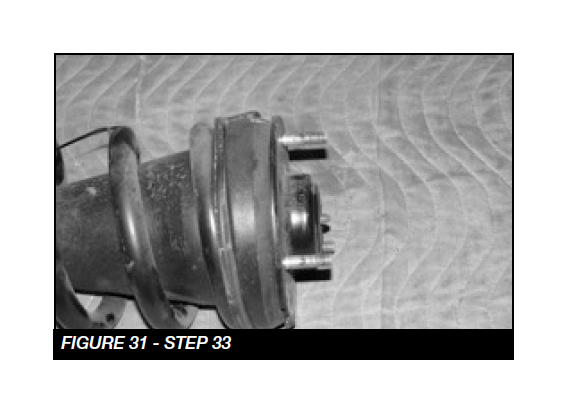 If installing Dirt Logic coilover, P/N FTS825282 or FT820282D & P do so at this time using hardware provided with that shock. 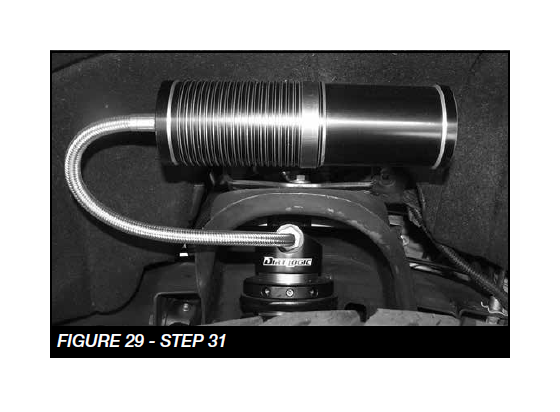 Install the Coilover so it offsets towards the rear of the truck. 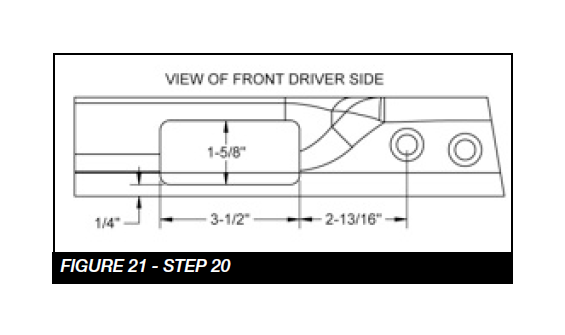 NOTE: See Figure 29 for resi mount orientation. Otherwise, continue with Step 31 with the factory shock. 32. 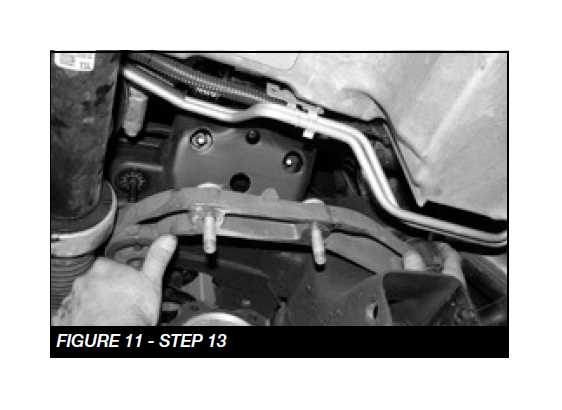 Locate the factory coil over and remove the sheet metal nut from the lower bar pin. 37. 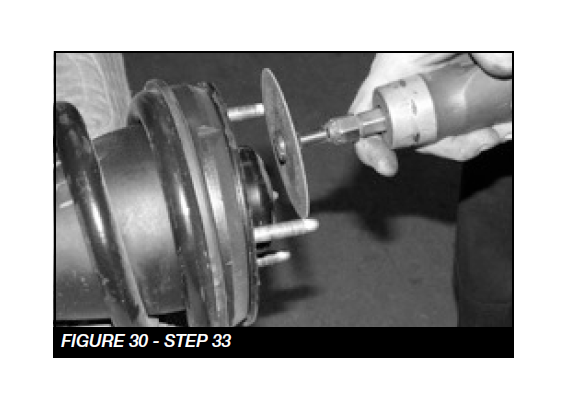 Install the upper ball joint in to the spindle and torque to 90 ft-lbs and the pivot bolts to 184 ft-lbs. 38. Reinstall the CV shaft and torque to 58 ft-lbs. 42. 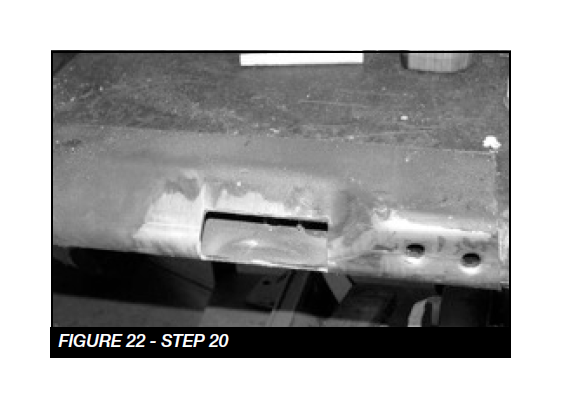 Repeat steps 3-39 on passenger side of vehicle where applicable. 43. Locate the FTBK15 blocks and the four FT1500U u-bolts. 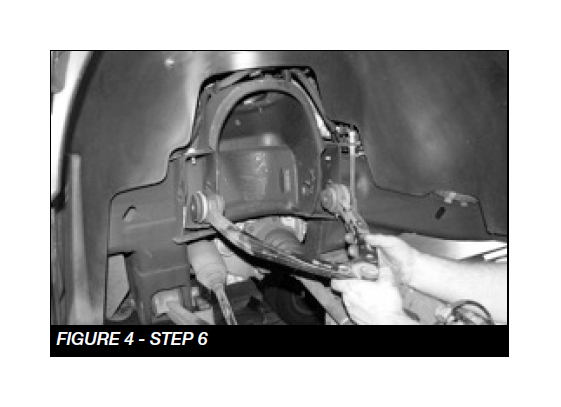 With the factory block and u-bolts removed and the rear axle clear of the leaf spring, make sure the block will fully seat onto the leaf spring and the spring pad of the rear axle housing with the wide end of the block to the rear of the vehicle. 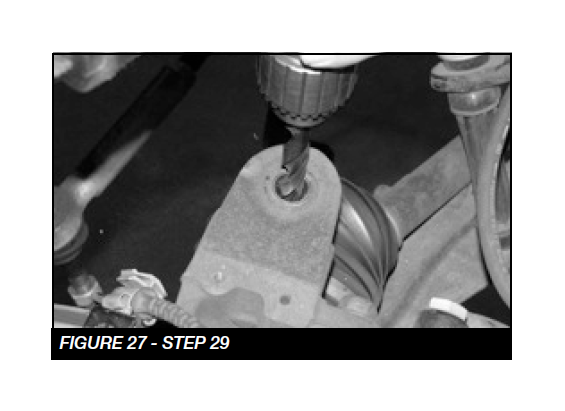 On the leaf spring make sure the center pin head will seat fully into the hole of the block allowing the top surface of the block to rest against the leaf spring. 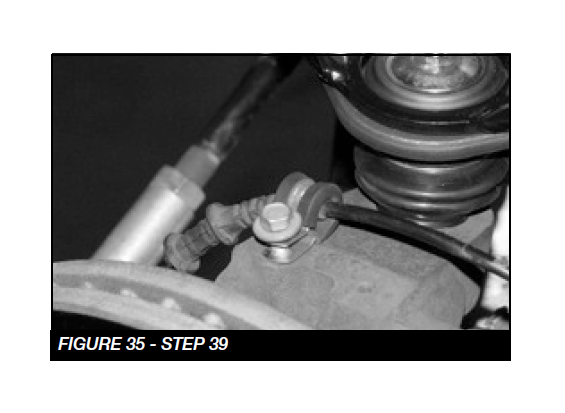 Install the new u-bolts with washers and nuts from the FT916H hardware kit and torque to 184 ft-lbs. 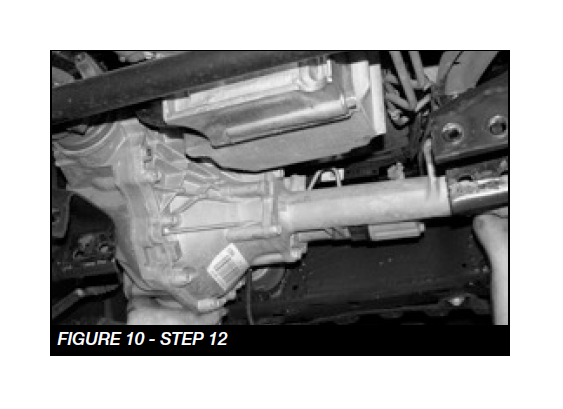 Note – The Vehicle’s stance will be level with the Fabtech block. To achieve a higher rear stance stack both factory and Fabtech blocks. 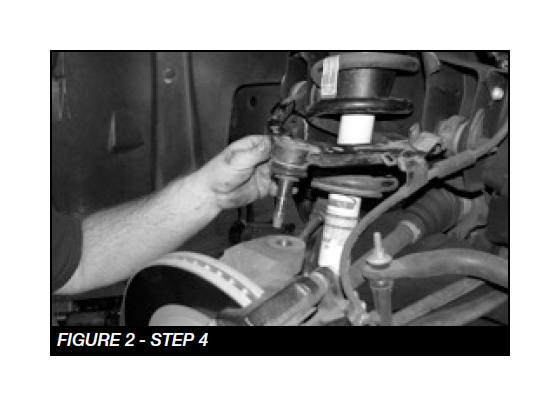 Longer shocks or shock extensions are required for proper installation. 44. 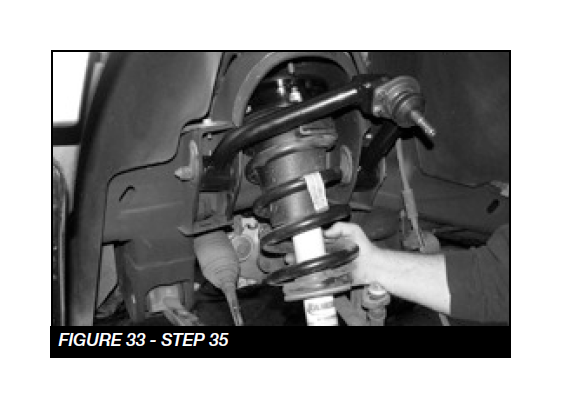 Install rear shocks using FTS7333 (Performance shocks), FTS6333 (Stealth Shocks) or FTS810152 (Dirt Logic shocks) with factory hardware. Torque to 100 ft-lbs. 45. Install tires and wheels and torque lug nuts to wheel manufacturer’s specifications. Turn front tires left to right and check for appropriate tire clearance. Note - Some oversized tires may require trimming of the front bumper & valance. 46. 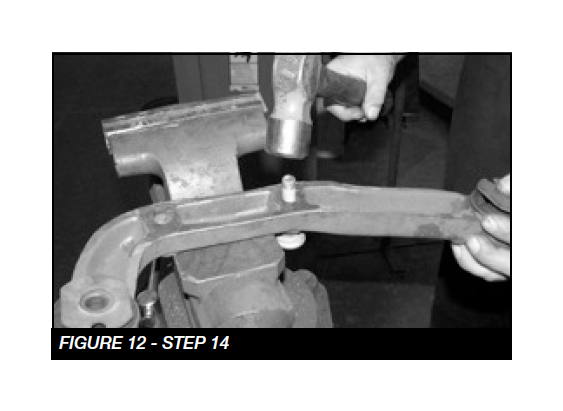 Check front end alignment and set to factory specifications. Readjust headlights. 47. Recheck all bolts for proper torque. 48. 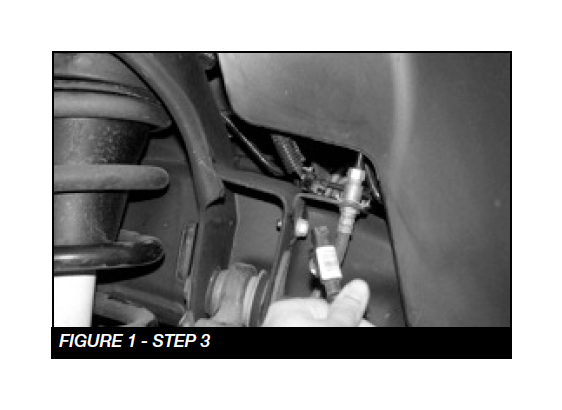 Recheck brake hoses, ABS wires and suspension parts for proper tire clearance while turning tires fully left to right. 49. Check the fluid in the front and rear differential and fill if needed with factory specification differential oil. 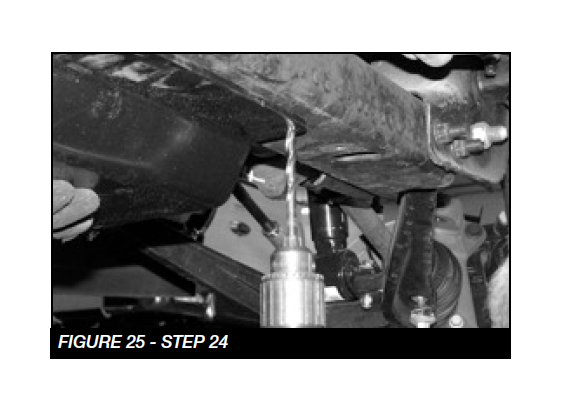 Note - some differentials may expel fluid after filling and driving. This can be normal in resetting the fluid level with the new position of the differential/s. 50. Install Driver Warning Decal. Complete product registration card and mail to Fabtech in order to receive future safety and technical bulletins on this suspension. 52. Jack up the rear end of the vehicle and support the frame rails with jack stands. 53. 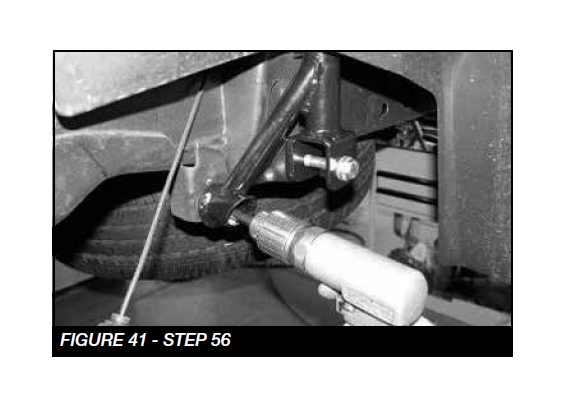 Using a floor jack, raise the differential just enough to slightly compress the rear shocks. 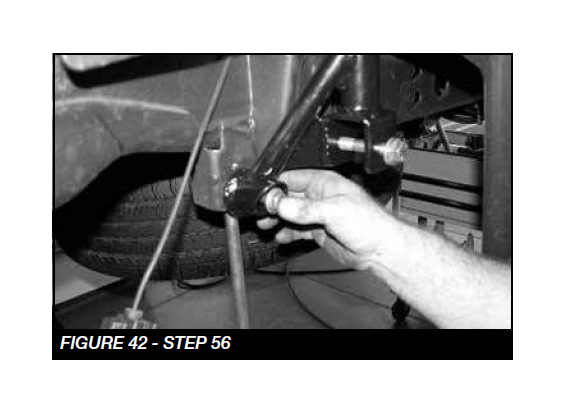 Remove the bolts securing the bottom of the shocks to the axle. 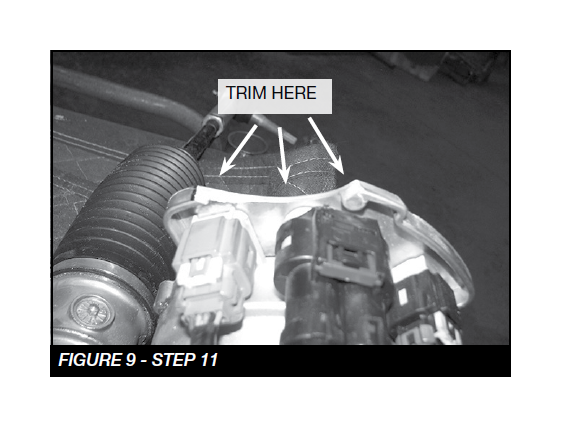 (if equipped with air ride system, unplug the electrical and air line connections). 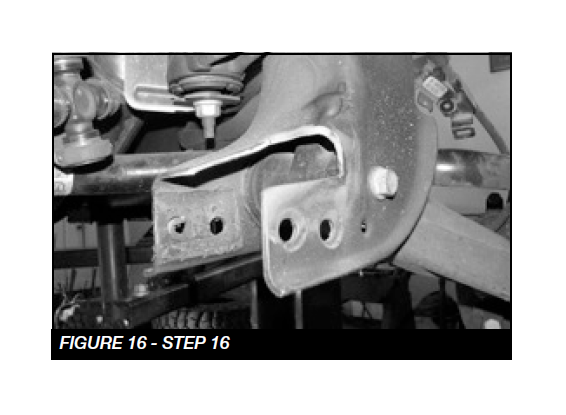 Remove the upper pivot bolt that attaches the track bar to the frame bracket. 54. 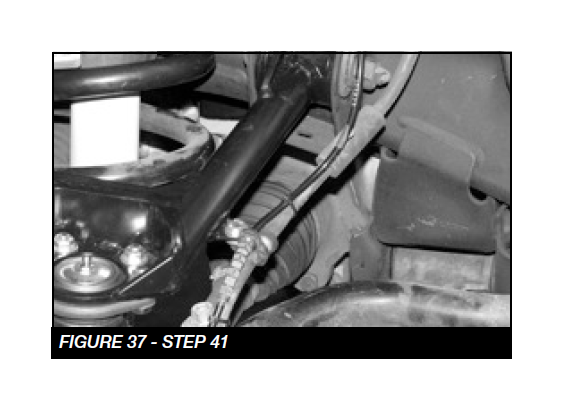 Lower the floor jack to release the coil springs. 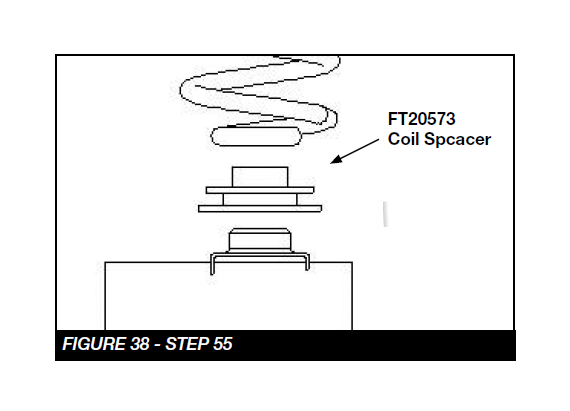 Remove the coil springs from the vehicle and save with the rubber upper coil insulator. 57. 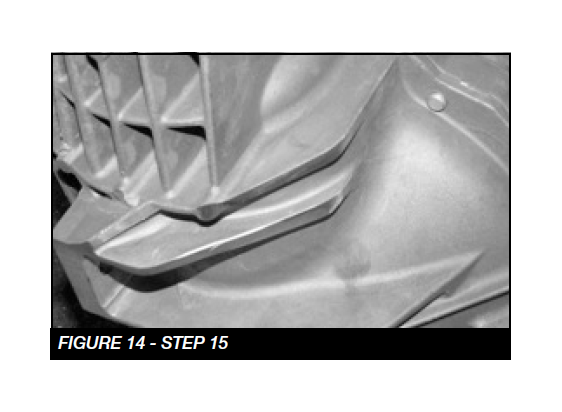 Repeat step 55 for the passenger side of the vehicle. 58. 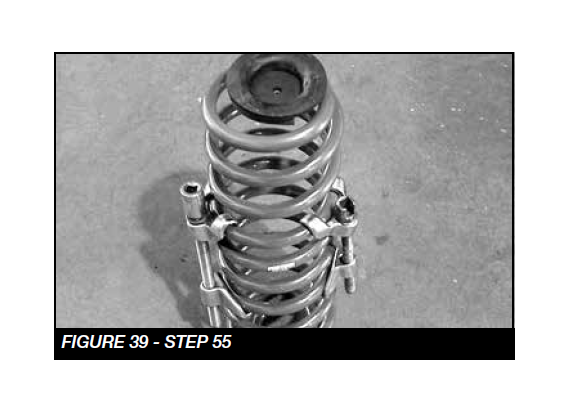 Install rear shocks using FTS7299 Performance shocks, FTS6299 Stealth Shocks or FTS810032 Dirt Logic shocks with factory hardware. Torque to 100 ft-lbs. 59. Install tires and wheels and torque lug nuts to wheel manufacturer’s specifications. Turn front tires left to right and check for appropriate tire clearance. Note - Some oversized tires may require trimming of the front bumper & valance. 60. 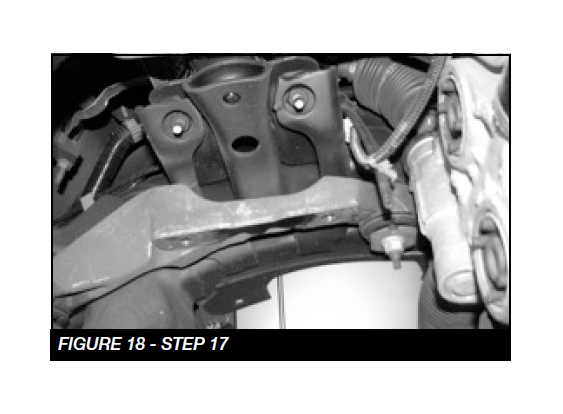 Check front end alignment and set to factory specifications. Readjust headlights. 61. Recheck all bolts for proper torque. 62. 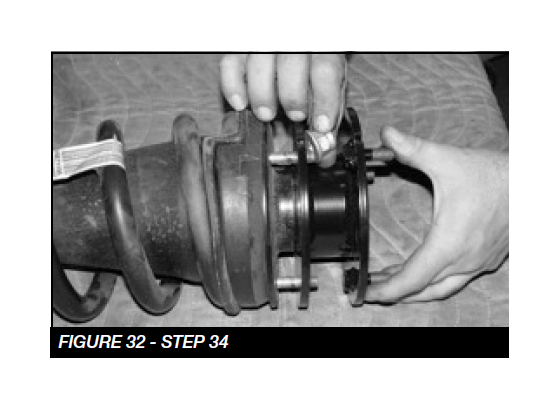 Recheck brake hoses, ABS wires and suspension parts for proper tire clearance while turning tires fully left to right. 63. 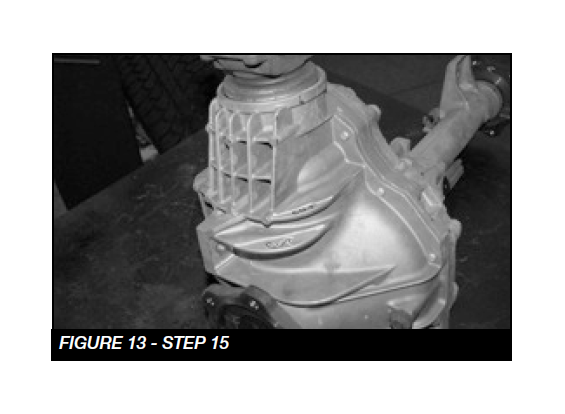 Check the fluid in the front and rear differential and fill if needed with factory specification differential oil. Note - some differentials may expel fluid after filling and driving. 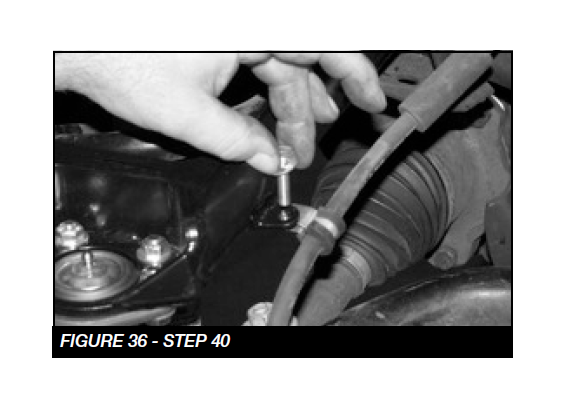 This can be normal in resetting the fluid level with the new position of the differential/s. 64. Install Driver Warning Decal. Complete product registration card and mail to Fabtech in order to receive future safety and technical bulletins on this suspension. 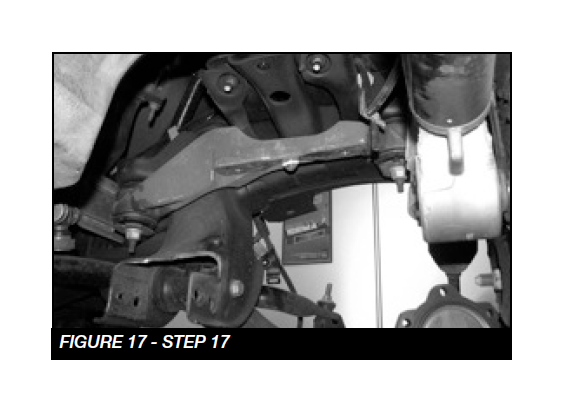 Vehicles that will receive oversized tires should check ball joints and all steering components every 2500-5000 miles for wear and replace as required.